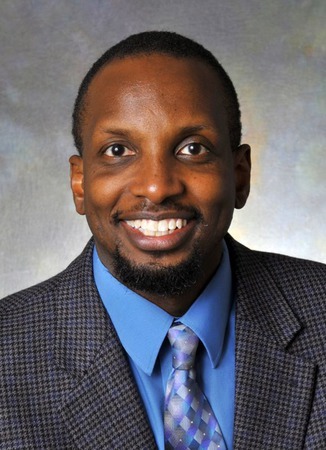 Dr. Andrew Kiragu is currently the Interim Chief of the Department of Pediatrics and Medical Director of the Pediatric Intensive Care Unit at Hennepin County Medical Center in Minneapolis. He is an Assistant Professor of Pediatrics at the University of Minnesota. He completed his undergraduate studies at Dalhousie University in Nova Scotia, Canada and subsequently graduated from Howard University College of Medicine in Washington, DC. He served his residency in Internal Medicine and Pediatrics, followed by a fellowship in Pediatric Critical Care at the University of Minnesota. As a pediatric intensivist at HCMC, one of Minnesota’s premier Level 1 Pediatric Trauma Centers, he has considerable expertise in the management of critically injured children particularly those with severe traumatic brain injuries. He is also engaged in injury prevention efforts with Injury Free Coalition for Kids Minneapolis and serves on the boards of Safe Kids Minnesota and the Midwest Injury Prevention Alliance. Dr. Kiragu is an active advocate for children at the state level and is President-Elect of the board of directors of the Minnesota Chapter of the American Academy of Pediatrics.